The World Travel Market (WTM) in London along with the decision makers of the world tourism industry pledged measures against global concerns like terrorism and natural disasters. Industry leaders at the UNWTO and WTM Ministers’ Summit have called for global co-operation and collaboration to help destinations affected by terrorism and other crises. The UNWTO & WTM Ministers’ Summit is one of the highest-profile sessions of the entire event. 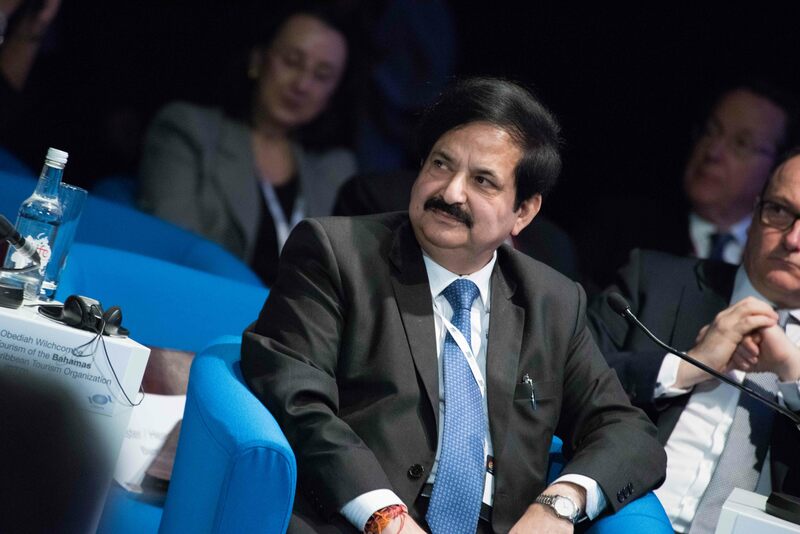 100 tourism ministers from across the world took part in the top-level forum at WTM London, along with the bosses from leading travel companies and organisations. Dr Taleb Rifai, Secretary-General of the UN World Tourism Organisation (UNWTO), described terrorism as “forces of darkness”. “This world must become a better place and we must never allow forces of darkness to isolate us. No country is immune or 100% secure; this is a global challenge,” he said. Commenting on the issues like natural disasters, Dr Rifai said the UNWTO will launch an online training programme early next year, hoping to train more than one million employees in travel and tourism about security issues and crises such as natural disasters. “It will raise awareness on security – for any individual in travel industry, from a bell boy or concierge or museum guide, to be aware and vigilant,” he added. India, the official premier partner of WTM 2016 made a significant participation in the event with 42 co-exhibitors, partners and a high-profile delegation from the Ministry of Tourism. Echoing the words of Rifai, Vinod Zutshi, Secretary of Tourism, Government of India, said countries should be more responsible when issuing travel advisories as perception of safety in destinations is a key factor. From macro topics such as terrorism and fighting economic crisis to micro topics such as ‘Bleisure’, millennials and their habits, and tourism empowering Indian women made headlines. With the safety of female travellers in India in the spotlight, transport companies have started providing female taxi-driver services. One example is She-taxi, which operates in Kerala for female-only clients, using women-only drivers. Is it really incredible enough?